Gene Simco is a professional martial arts instructor and author who specializes in the art of Brazilian Jiu-jitsu. He is widely recognized as the first author of Brazilian Jiu-jitsu books in the <?xml:namespace prefix = st1 />English Language and has published several titles on the subject. In addition to his accomplishments in the publishing industry, Gene Simco has appeared in several instructional videos and runs one of the largest online training programs on the Internet. Mr. Simco holds the rank of 2nd Degree Black Belt in Brazilian Jiu-jitsu and is one of the few Americans to hold a Diploma from the oldest Federation of Brazilian Jiu-jitsu in Rio. He acts as the head BJJ instructor at the NYMAG Academy, where he produces world class fighters in BJJ and MMA competition. Visit Gene Simco's Official Website at www.GeneSimco.com. There, you will find up to date information about Gene's latest product releases and school news. Learn about Gene Simco's book publishing history, complete bio and training history, DVD releases, academy and read product reviews and testimonials. - Gene has been training in the Martial Arts since he was 9 years old. - Gene Simco was the first American to author BJJ Books. - Many of Gene�s students have gone on to fight in High Level MMA competitions, such as the UFC and his current students are winning at the World and Pan Am Championships of BJJ. 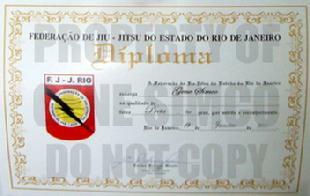 - After ten years of training, Gene Simco received his Black Belt in BJJ on June 18, 2005 from Marcelo Nigue Sandes. 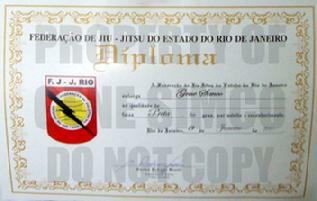 He is one of the few Americans to hold a Black Belt Diploma from the Oldest Federation of BJJ in Rio De Janeiro Brazil. - Gene Simco is highly respected by the Military and Law Enforcement communities. His products are used by SWAT teams, Special Ops and the Department Of Defense. Gene Simco Training "Brazil's Best Striker"
The Muay Thai world champion, one of the best strikers in the World, Cosmo Alexandre is getting ready for his MMA debut, which is set to go down this coming September in the Brazilian city of Santos at an event being put together by the winner of the Big Brother Brazil reality show Marcelo Dourado and black belt Marcelo Nigue. Cosmo is currently in the United States, where he is training alongside the likes of Rashad Evans and Gesias Cavalcante in Florida, and under two-stripe black belt Gene Simco at New York Martial Arts Gym, where Brazilian standout Glover Teixeira has trained in the past. Gene Simco a BJJ Black Belt Certified by the IBJJF and is one of the few Americans to be awarded a Black Belt Diploma signed by Carlos Robson Gracie (Renzo Gracie's Father) from the oldest Brazilian Jiu-jitsu Federation in Rio De Janeiro, Brazil Founded by Helio Gracie. 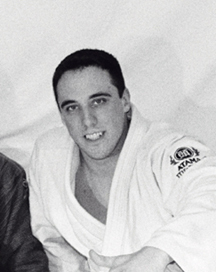 Gene Simco was promoted to Black Belt by Marcelo Nigue (4th degree black belt under Amaury Bitetti) in 2005 after 10 years of training. In 2011, Gene was promoted to 2nd Degree Black Belt and awarded a diploma from the Federa��o de Jiu-Jitsu do Estado do Rio de Janeiro, the official certifying organization for the Gracie style of Jiu-Jitsu. 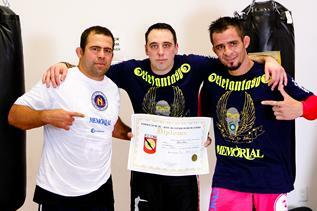 His certificate was presented to him by World Champions Marcelo Nigue and Amaury Bitetti (the First 2x Absolute World Champion of Brazilian Jiu-jitsu). Gene is the US Representative for Bitetti Team under Amaury Bitetti.